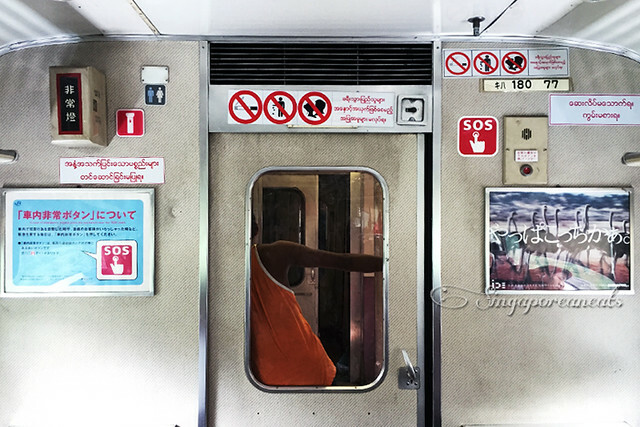 One of the unique experiences for the traveller to Yangon, is a ride on the Yangon Circle Line. At just US$1, you will get to see another aspect of local life and the countryside. If you are starting off from Yangon Central station (a lovely & large colonial style building), enter through the metal gates on the left side, look for the flight of steps on the left and make your way up and across the bridge to platform 9¾ (I’m kidding!! But wouldn’t that be cool??). Once you reach the other side, look for the booth to puchase your ticket. 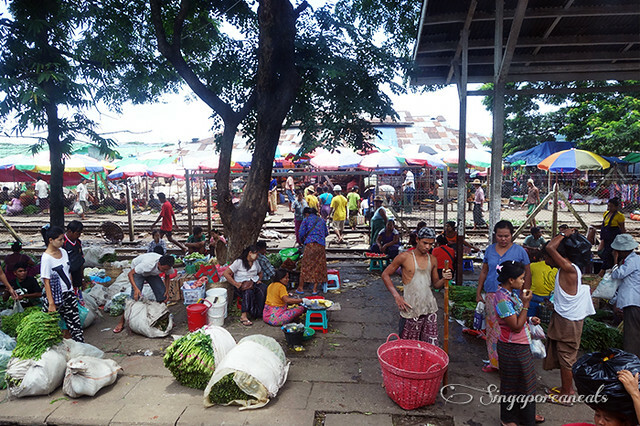 The price is 1,000kyats for tourists from here. Check the train schedule posted in front of the booth for the next departure time. 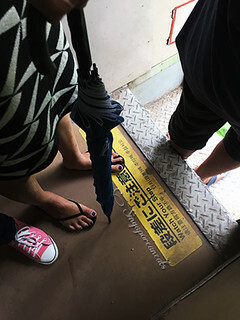 The train we boarded was an old train from Japan, complete with Japanese warning signs, old Japanese advertisements, and multi-directional swivelling seats. Trundling along with the locals. Even with air-conditioning, it gets stuffy and warm (I was also staring suspiciously at the black mold forming around the air-conditioning vent). Best to take a nap. Now our real journey starts. 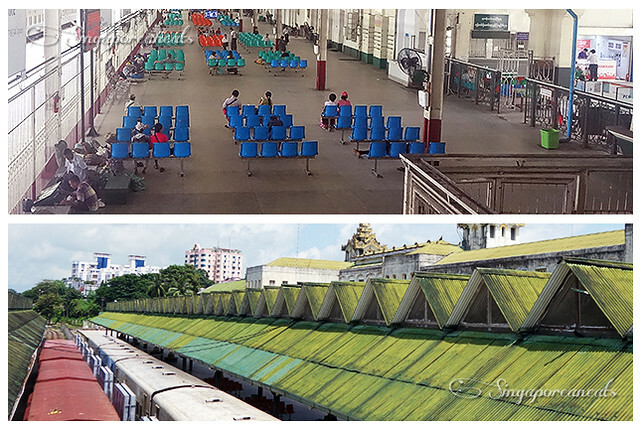 Spotting local markets and the smaller station stops. 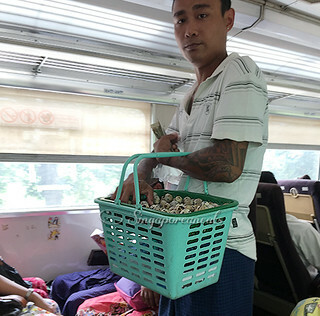 Vendors also peddle food and newspapers aboard the trains. 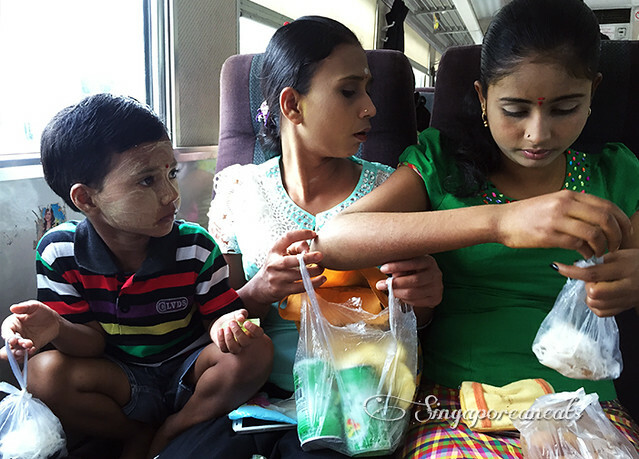 The passengers next to us bought boiled quails eggs (very sulpherous smelling) and steamed corn. The entire journey takes 3 hours to complete although the circle is 46km (I’m sure the fastest marathoner could actually beat the train). 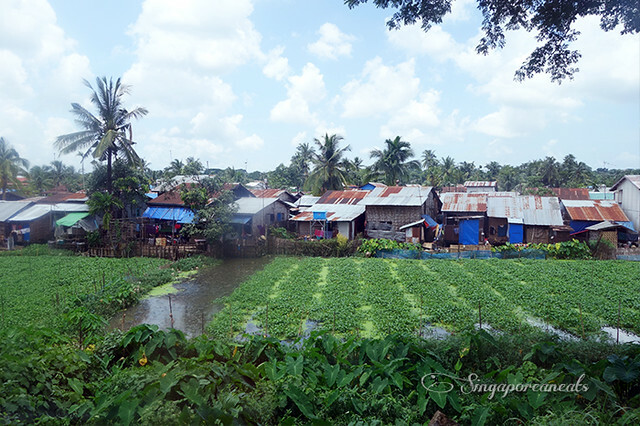 Throughout the journey you can see a mix of new housing vs slump type dwellings, ongoing projects vs a rural duck pond and padi fields. If you don’t want to complete the whole circle, just get off at a reasonably busy station to grab a cab back. 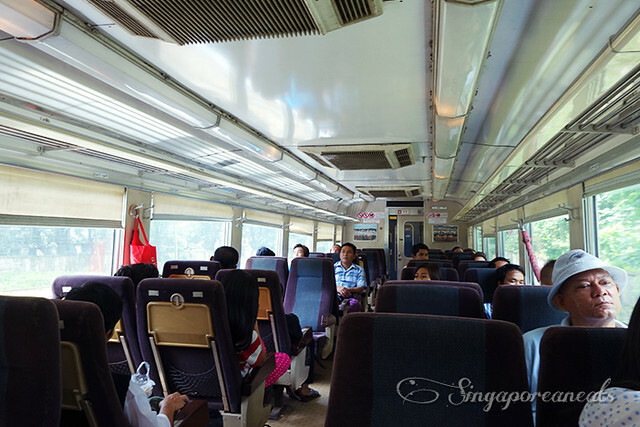 We got tired after 2 hours and hopped off at a busier station to head off for lunch. 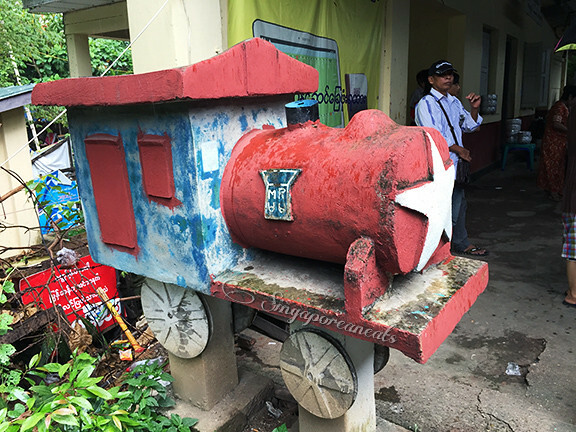 This entry was posted in Burma, Travel, Yangon and tagged Burma, Myanmar, Trains, Yangon. Bookmark the permalink.